Gîte 3 is uitgerust met TV, DVD-speler, draadloos internet en een volledig ingerichte keuken met een vaatwasser en een magnetron. Het heeft 2 slaapkamers, een met een slaapkamer met tweepersoonsbed en een met 2 eenpersoonsbedden die kunnen worden omgezet in een double. Het heeft ook een slaapbank. We recently stayed 3 nights in early August at Au Moulin 1771 with our 22 and 24 year old sons and we couldn't have been happier with our experience. The accommodations were tastefully decorated and comfortable. 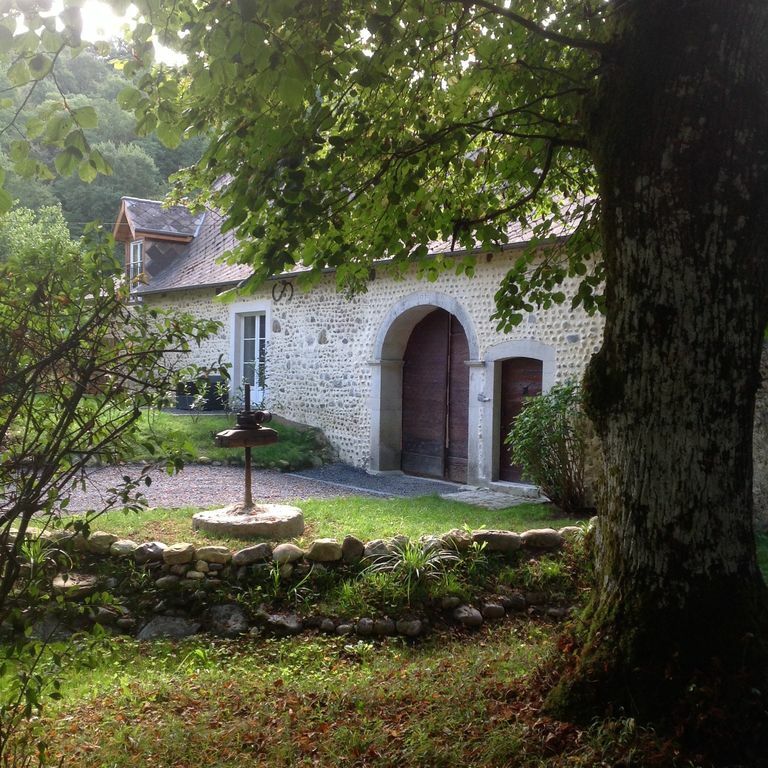 The gite was clean and well-kept. The proprietors - Martin and Elaine, Sabine and Nicole - were gracious and made us feel at home. They were available as needed and were very helpful and friendly. They are rightfully proud of the work that they did to renovate this property. Prior to our arrival, we were offered a welcome meal for a reasonable additional charge, which we took advantage of. The food was simple and delicious and the meal was a relaxing experience after our long drive to the area from Paris. We also had the option of breakfast and it was equally delicious. Au Moulin is located in a peaceful and beautiful setting just a few minutes from the center of the town of Monein. It's a great base for exploring the area. We hated to leave and we would absolutely recommend this lovely and welcoming rental.